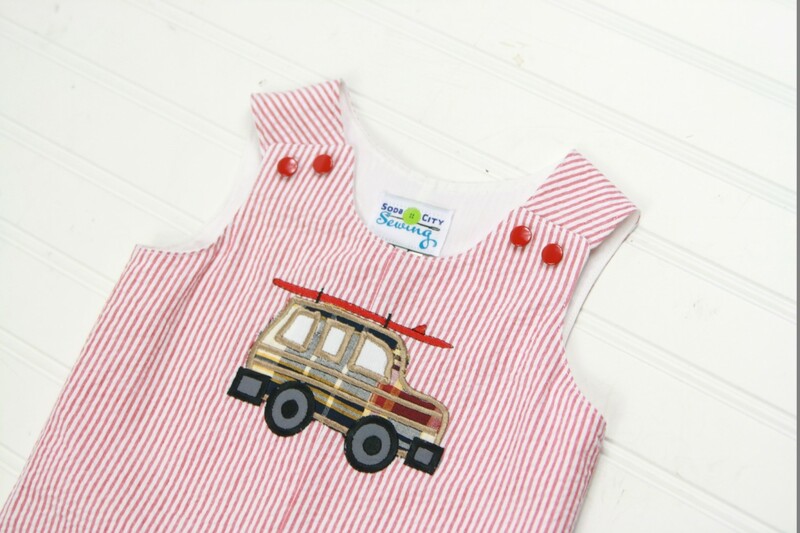 This red seersucker shortall comes appliqued with a station wagon toting a surfboard. 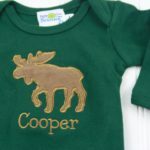 You can also add a monogram or name. It’s fully lined, 100% cotton. Buttons at the shoulders, and snaps at the crotch. Completely machine washable! 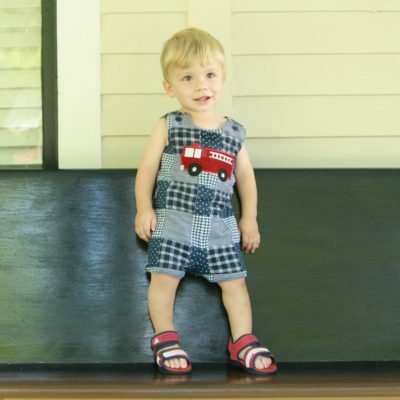 Fully handmade in South Carolina, Shipping Rate B- Shipping options shown at checkout. 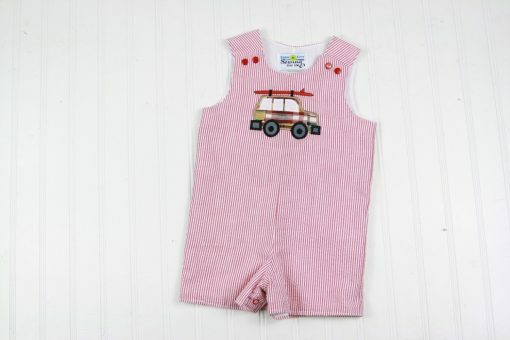 Summer baby clothes are so much fun! This seersucker shortall is so cute for a trip to the beach, a birthday party, or every day! 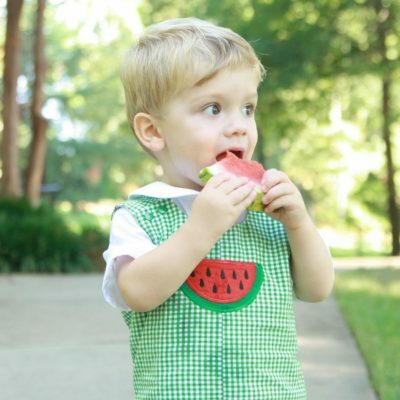 The fabric is high quality and comfortable cotton seersucker. It’s lined in 100% cotton and is very breathable for summer. 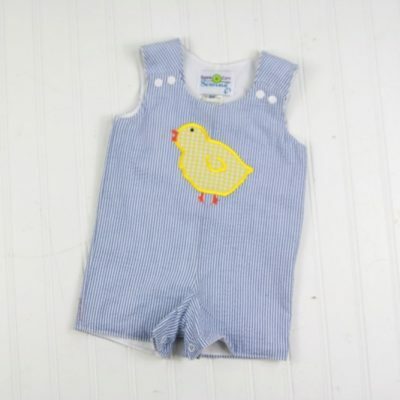 It looks cute alone, with a bodysuit, or with a collared shirt underneath. Choose to add a name or initials, or leave it plain. It has snaps at shoulders (instead of buttons! 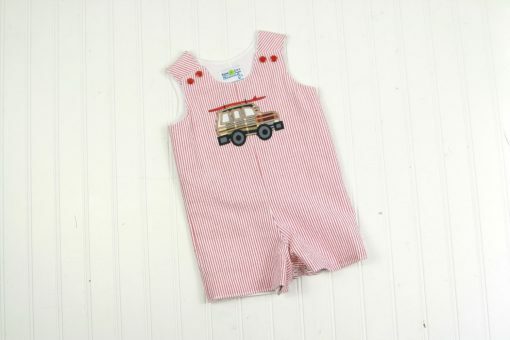 ), and snaps at the legs for easy diaper changes. 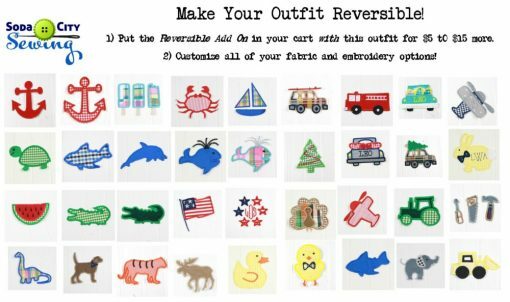 These outfits are perfect for special occasions, or every day. They’re completely machine washable so he can wear it again and again! OPTIONS: You can order the outfit to have only the car, or add a name, or initials. Customize your outfit as you add it to the cart!